Paul A. Young shares his chocolate-making secrets for the first time. 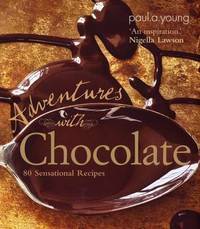 He will take you on a chocolate adventure, showing you how to blend it with other ingredients from lavender to chilli to cinnamon. With chapters including 'Sugar and Spice' and 'Herbs and Flowers', the recipes cover everything from truffles and cakes to savoury dishes. Discover how to make wild strawberry and pink peppercorn truffles, sea-salted caramel tart and the best chocolate martini. And then of course there are the classics, such as Paul's world-famous brownies and his award-winning hot chocolate with Mayan spices. Paul's enthusiasm is irresistible and his stunning recipes are a must for all chocolate lovers.